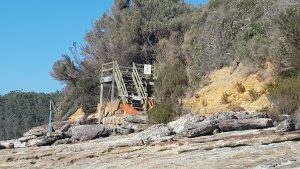 The southern most access stairs to Nelson Beach are currently closed due to their unsafe status as a consequence of deterioration and corrosion. 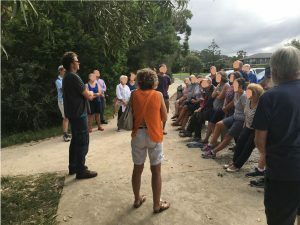 Shoalhaven Council are currently considering various options from removing the stairs altogether to completely rebuilding them using the latest compound materials which offer far greater resistance to the environment and lower whole of life costs. At a meeting between Council and local residents on the 3rd April 2018, the residents were unanimous in their preferred option to have the stairs retained. Based on this feedback Council are now considering the next stage regarding the stairs. Council has advised the Nelsons Beach access way is to be commenced in August. Materials have been ordered. A condition report on the stairs can be viewed here.